texting Archives « Breastfeed.Babywear.ClothDiaper.Naturally! Breastfeed.Babywear.ClothDiaper.Naturally! 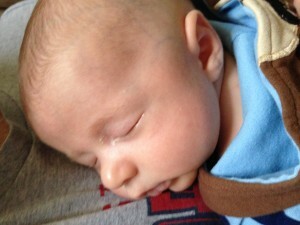 When you make the decision to breastfeed your baby, you sometimes commit to a lot of sitting on the couch. For my daughter, it was nursing for 45 minutes, taking small breaks, and then nursing some more. You nurse your baby when you’re doing other tasks. You may be cooking supper. You may be helping another child eat, use the potty, or do some homework. But, have you ever brexted? Yes, that’s a word. Brexting is the term in the urban dictionary used for breastfeeding and texting at the same time. You may just be looking at your smart phone, but you are nursing and using your phone at the same time. For me, this is something I did frequently with my daughter. She would wake frequently in the night, and my phone kept me awake. I sometimes found I sent funny messages on Facebook while sleepy-eyed, but the phone was my companion. With my second baby, I didn’t really do this much. I was too busy entertaining big sister or trying to get other things done at the same time. There is some controversy with brexting. Some say moms may miss important cues while nursing and being on their phones. The bond isn’t as strong and you may not notice that your latch isn’t as good as it could be. Critics say brexting could cause anxiety or stress for mom and effect nursing with baby. A little distraction is okay, but many warn not to be too distracted. We all know that moms are multitaskers. We all like to get things done and checked off of our lists. So, it just seems natural to check your email or send a text while feeding your baby. However, be careful not to forget the real task at hand. One positive note to consider is how some stay-at-home moms feel isolated or lonely. For me, I have never lived near family or friends. I have been fortunate to forge friendships wherever I go. Checking social media or texting has been my way to stay connected in many ways to those I love dearly. So, I say go ahead and do it, mommas. I don’t think it will hurt your baby if you are brexting. I do think we have to remember our priorities. As moms, we are to be there for our children and meet their needs. Sometimes, this means putting the phone down or taking a break from Facebook. Karyn Meyerhoff is a mom of two in Southern Illinois right now who loves to text and nurse.